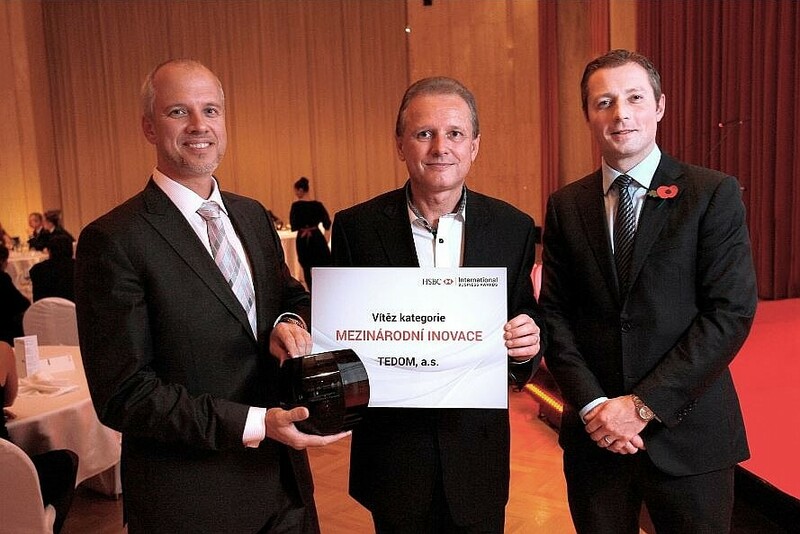 TEDOM won the first place in the HSBC International Business Awards in the International Innovation category, which is intended for companies with a turnover of more than CZK 1.5 billion. TEDOM received this award for the project of penetrating the US market where it established a joint venture with Tecogen, a local leading manufacturer in the area of small cogeneration, for the sale of TEDOM CHP units in the United States. Thus TTcogen based in Massachusetts, of which TEDOM owns 50% share, was formed. The HSBC International Business Awards is a competition focused on supporting dynamic Czech companies that have decided to succeed in foreign markets and its purpose is to support these companies in the field of export.The gala evening with award ceremony, hosted by Jakub elezný, was held on 10th November 2016 in the Congress Hall of the Czech National Bank.